In one photo for the March issue of the magazine, the ‘Bodak Yellow’ rapper channels Cinderella while recreating the moment she left the Harper’s Bazaar ICONS party barefoot after she allegedly threw her shoe at Nicki. Cardi B knows how to make the best of her own shame. Gracing the cover of Harper’s Bazaar’s highly anticipated Spring Fashion Issue, the Bronx femcee channels Disney Princesses while recreating the aftermath of her brawl with Nicki Minaj. At the Harper’s Bazaar ICONS party during New York Fashion Week last September, Cardi allegedly threw her shoe at Nicki after the latter stepped on the train of her gown. 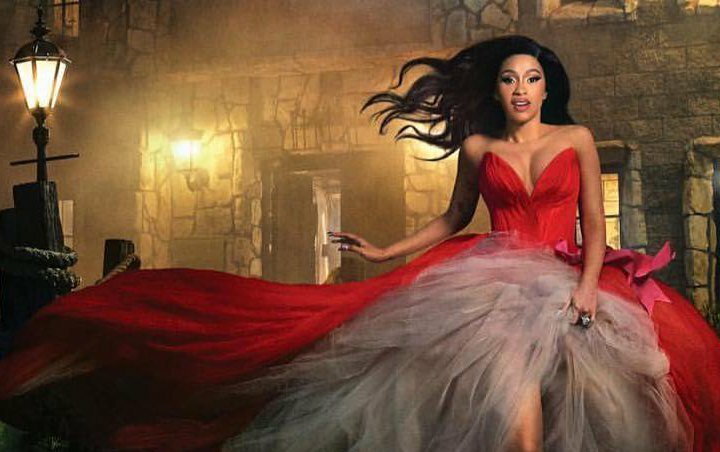 After the fight, the “Bartier Cardi” raptress left the party barefoot and her red Dolce & Gabbana gown ripped, as she rocked a large lump over her left eye. While acknowledging the issue, she said that she hasn’t hired professional help because she feels she can’t trust anyone outside of her family.